If you are single or a student, a retired individual or one of those who spend a lot of time away from home, but need someplace to sleep once in a while, then studio apartment often called bachelor apartment can be your choice. Studio apartments are usually low-cost and have nearly all utilities which a bachelor needs. Studio Apartments are gaining popularity all across the globe especially in the city like Bangalore where apartments are wearing quite an expensive price tag day by day. Studio apartments, also known as an efficiency apartment or a studio flat are small but self-contained. Studio apartment as a single unit of flat contains all without any barrier of walls or divisions giving you all the creative freedom. Such apartments have interesting feature of the living area, sleeping space and kitchen all at one place. The only separate room with a door in a studio apartment you will get is the bathroom, which also contains a number of closets. Studio apartments are simply a smart way of living especially for the future hi-tech, eco-conscious generation coming up and when you get such apartment in the city like Bangalore it’s more than a paradise for a bachelor. One Bedroom Apartment In East Bangalore. Prestige Tranquility is a new Under construction residential project developed by a reputed builder, Prestige Group. 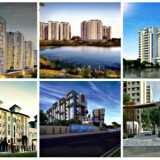 It is located at Budigere, East Bangalore. Spread over 38 acres of land area.Prestige Tranquility comprises of 2368 Apartments in 17 Residential Towers (14 & 19 Floors) + Signature Tower (27 floors) with 1,2,3 BHK configurations. Budget starts from INR 76 Lakhs Onwards. One BHK units of Prestige Tranquility consists of one Bedroom, with a Single Bathroom.Living/Dining opens with Balcony.next to the Foyer we have Kitchen and Utility Space. 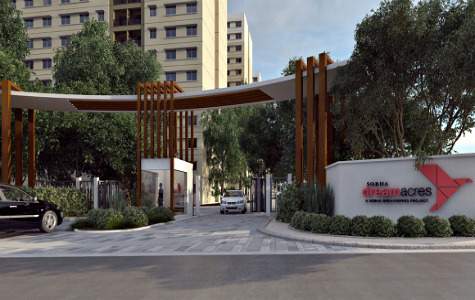 Sobha Rain Forest is a new Ongoing residential venture within Sobha Dream Acres Developed by Sobha Limited, Sprawl over 81 acres Bangalore Golden Quadrilateral situated in Panathur Main Road, Off ORR Balagere, East Bangalore. 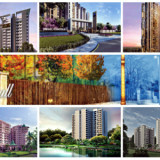 Sobha Rain Forest comprises of 80% Open Space with 6500+ apartments of 1 and 2 BHK units. SBA area ranges between 1007-1210 sqft, each tower includes of G+13 & 14 Floors. 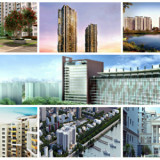 One BHK units of Sobha Rain Forest consists of one BHK, with an attached Bathroom. Kitchen/Dining opens with Balcony and Living room in front of the Foyer. Brigade Buena Vista is a new upcoming apartment project by a reputed builder, Brigade Group. Sprawl across 7 acres of land area. It is located on Old Madras Road, East Bangalore.Brigade Buena Vista consists of 1,2 and 3 BHK units.Budget starts from Rs. 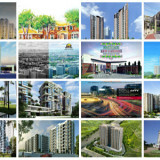 38 Lacs – 83 Lacs* onwards. One Bedroom Apartment In North Bangalore. 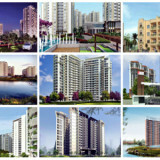 Prestige Royal Gardens is a new ongoing apartment project by a well-known builder, Prestige Group. It is located at Yelahanka, North Bangalore. Sprawl across 22.5 acres of land area. This Project consists of 1696 Apartments in (13 Residential Towers with 16 & 18 floors Respectively) of 1, 2, 2.5 & 3 Bedrooms.Budget starts from INR 35 Lakhs Onwards. 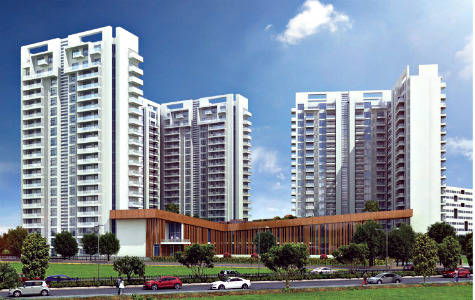 One BHK units of Prestige Royal Gardens comprises of one Bedroom, with a Single Bathroom next to Foyer. Living/Dining next to that we have a Kitchen. 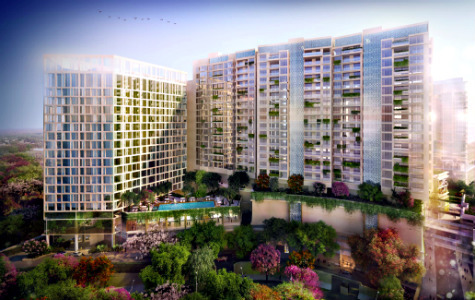 Hiranandani Glen Classic is a novel Pre-launch apartment project by a well-known builder, House of Hiranandani. Sprawl across 10 acres of land area. 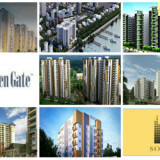 It is located at Hebbal, North Bangalore.This Project consists of 288 Apartments of 1, 2 & 3 BHK.SBA ranges from 655-1820 st. It has 1 tower and each tower comprises of S+18 floors.Rate per Sq ft is Rs. 6,050 /-.Budget starts from Rs. 39.62 Lakhs onwards. 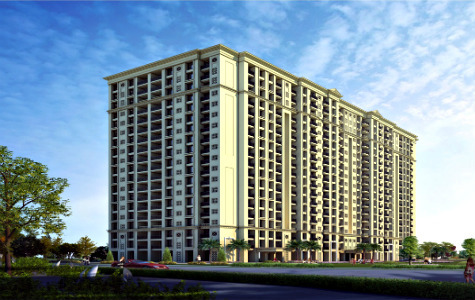 One BHK units of Hiranandani Glen Classic comprises of one Bedroom, with a Single Bathroom next to Foyer. Living/Dining next to that we have a Kitchen, Balcony. 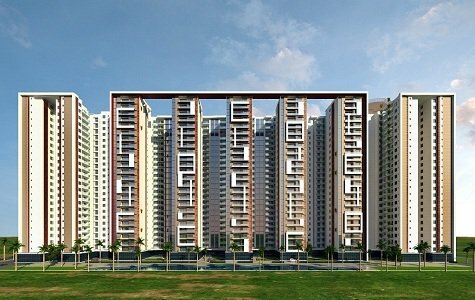 Ranka North Star is a current under construction apartment venture by a known builder, Ranka Group. Sprawl across 1 acres of land area. It is located at Yelahanka, North Bangalore.This Project consists of 72 Apartments of 1, 2 & 3 BHK.SBA ranges from 571-1573 st. It has 1 tower and each tower comprises of S+18 floors.Rate per Sq ft is Rs. 6,050 /-.Budget starts from Rs. 22.84 Lakhs onwards. 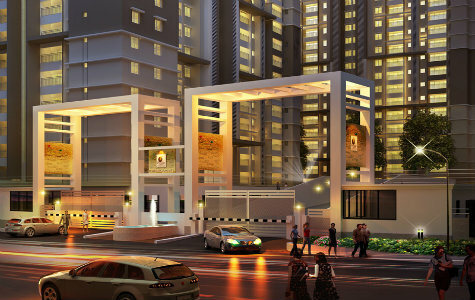 One BHK units of Ranka North Star comprises of one Bedroom, with a Single Bathroom next to Foyer. Living/Dining next to that we have a Kitchen & Utility. Spread Over 2.65 acres of land. 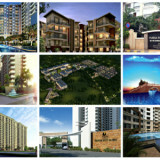 Legacy Vivienda is a new Pre-launch Apartment Project by Legacy Group. 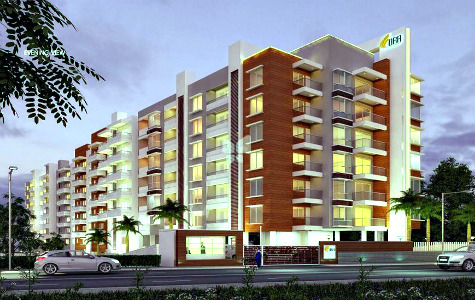 This Project is located at Devanahalli, North Bangalore. 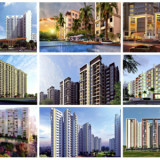 It consists of 276 apartment units of 1, 2 and 3 BHK.SBA area ranges From 660-1760 Square Feet. 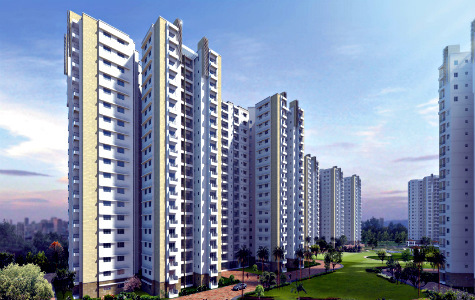 One BHK units of Legacy Vivienda comprises of one Bedroom, with a Single Bathroom. Living/Dining, Kitchen/Utility, Balcony. Leela Residences At Bhartiya City is a current ongoing Premium luxury residences venture by a tremendous builder, Bhartiya Group. Spread across 125 acres of land area. It is located at Thanisandra Main Road, North Bangalore.This venture is come up with various type of apartment units like 1,2,3 & 4 BHK. Budget starts from Rs. 84.42 Lakhs onwards, with better luxurious which included on it. One BHK units of Leela Residences at Bhartiya City comprises of one Bedroom, with a Separate Bathroom, Living/Dining, Kitchen/Utility, Balcony. One Bedroom Apartment In South Bangalore. 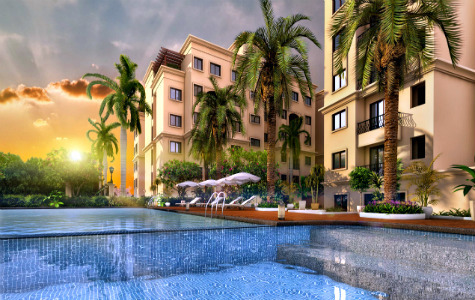 Hiranandani Penrith is a new pre-launch residential project by reputed Builder, House Of Hiranandani.This venture is located in the prime area of Bannerghatta Road as a Part Of South Bangalore. Hiranandani Penrith comprises a 1 Bedroom type of apartment units with an SBA area ranges 595 Sq ft. Budget starts from Rs. 40 Lakhs onwards. One BHK units of Hiranandani Penrith comprises of one Bedroom, with a Separate Bathroom, Living/Dining, Kitchen/Utility, Balcony. The Advantage Raheja Acco is a new ongoing apartment Project Developed by Builder, Advantage Raheja Developers Pvt Ltd.This Project is located in the Prime Locality Of Koramangala as a Part Of South Bangalore. Sprawl over 6.45 acres of land area. 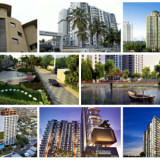 The Advantage Raheja Acco provides a 1, 3 & 4 BHK apartment units. 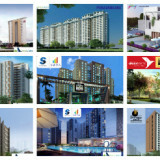 super Built up area ranges from 720 – 2030 St. Budget starts from Rs. 47.62 Lakhs onwards. It includes 6 towers and each tower comprises of G+23 floors. One BHK units of The Advantage Raheja Acco comprises of one Bedroom, with a Single Bathroom next to Balcony. Foyer in front of the Living/Dining, Kitchen. 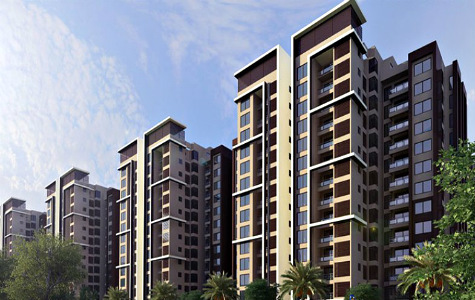 Mahaveer Ranches is a novel ongoing residential project from Mahaveer Group. It is located at Hosa Road, South Bangalore. Spread over 15 acres of land area.Mahaveer Ranches comprises of 1090 Apartments with 1, 2 & 3 BHK ultra luxury apartments and penthouses. SBA ranges from 591 – 2078 St. One BHK units of Mahaveer Ranches comprises of one Bedroom, with a Single Bathroom next to Ac Ledge. Living/Dining opens with Balcony, Kitchen/Utility.